Welcome to the Studio Katia 2nd Anniversary Blog Hop! We are having an incredible 2-day Celebration. You won't believe all the incredible inspiration coming your way! If you missed Day 1 of our Celebration, follow this link to not miss any of the great fun we are having this weekend. 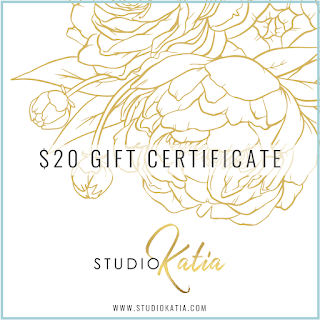 To celebrate this special occasion Studio Katia is giving away TWO $100 CAD Gift Certificate on every day of the Blog Hop. That's FOUR chances to win! You don't want to miss that! You can also win a $20 Gift Certificate on my Blog. Simply leave a comment under this post for your chance to win. The WINNER of my Giveaway is Annette Reed. Please email studiokatiagiveaway@gmail.com to claim your prize. 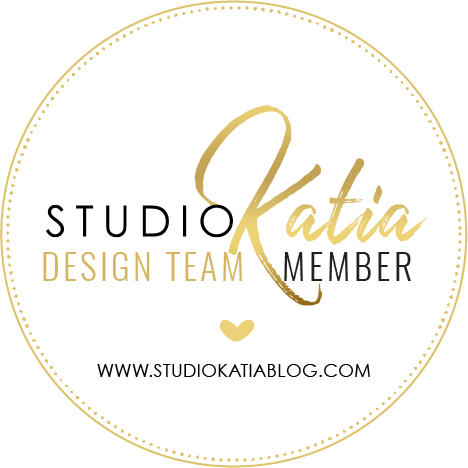 I've become a DT Coordinator at Studio Katia 1 year ago and never really shared the news on my blog. It's a lot of work, but so much fun working with fabulous designers and Katia is absolutely wonderful! Being part of the team definitely feels like being part of a family, crafty family to boot. I know next year will be even more fun and fabulous! And check out our new release! It's absolutely fabulous!! Sorry for your technical difficulties, can't wait to see your creation. 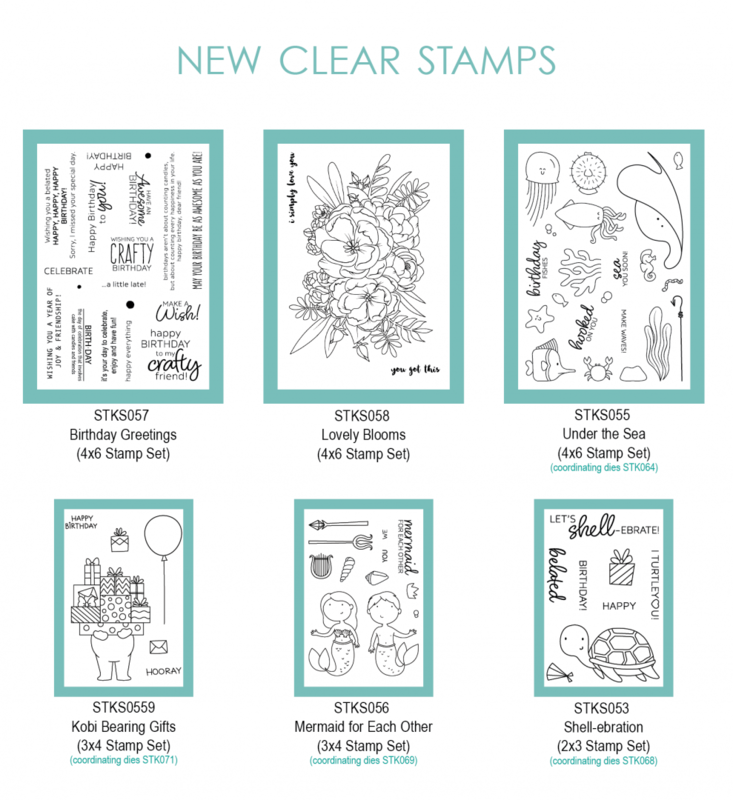 I love all the stamps here... can't wait to see what you create! Will check back later for your project. This is a great release of products and there has been so much inspiration shared! Love your floral stamps the are so beautiful! This hop has been fun! Looking forward to seeing your project! This has been a wonderful hop. I really need to see if I won the lottery yesterday, because I want it all but have limited income. 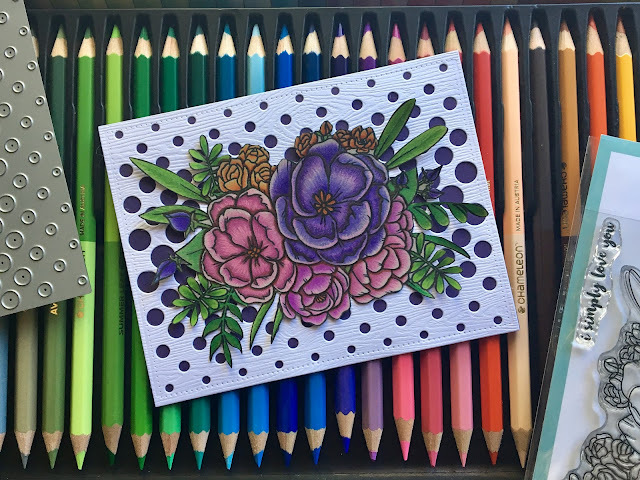 I love the floral stamps, which is what I naturally gravitate toward, but found myself drawn to all the little fishies and I adore the bear (bearing gifts!). And I MUST have the stitched background dies. Thank you for a fun couple of days--after a total meltdown yesterday morning. It's been a very frustrating week, but now I am just calm and grateful and inspired. Really! I will check back later to see what you made. I love this entire release! A great blog hop! Love this new release. Technical difficulties are the worst, hopefully you'll get situated quickly! This is a gorgeous release and hop though - you're doing a great job as DT coordinator! I hope you get it working soon. Great release though. Love the fishes! This hop has me hop, hop, hopping...Such great talent and inspiration! Such talented designers. Amazing creations. Look forward to seeing what you made! I have enjoyed this Blog Hop & finding new artists to follow! I'll check back to see what you've created with this great release. 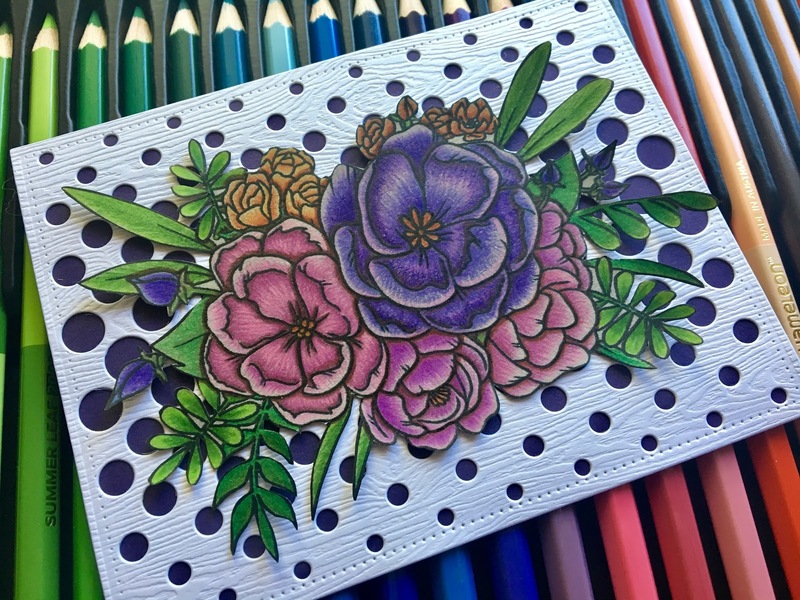 Its been a great Blog hop! I'll be sure to check back. I love the ocean themed stamps and dies!! Thx for trying and I can’t wait to see your project. Understand technical difficulties!! Sorry I missed your project. So sorry to hear that you are having technical problems. Me, I am sooooo NOT computer savvy, so I am impressed by all of you who have blogs & share videos. So much time, work & effort! And I greatly appreciate all of you! I will check back later and hope to see that everything has been solved for you. Awwww. I'll have to come back to see your creation. Tech is wonderful when it works, but when it decides to have a fit....no toddler can hold a candle to those fits. Sorry you are having to deal with a tech fit. Too bad about the technical difficulties. This hop was fantastic. There is a lot of talent out there! Hi Liliuska, sorry you are have technical difficulties. However, I have totally enjoyed seeing the new release and all of the fabulous cards using it. I can honestly say, I love it all and I could not be happier for Katia. I am thrilled to see a Canadian company flourish in this wonderful crafty industry! It is a wonderful release. So much one can do with these stamps and dies. Love the halftone circle cover plate. I think I will have to get that one. I’m in love with lovely blooms! This was a great hop. Can’t wait to get some of these products. SQUEAL!! LOVE LOVE LOVE the AMAZING Inspiration during the Hop!! SUCH AWESOME Designs!! THANKS SO MUCH for sharing and hope you have a FABULOUS Memorial Day WEEKEND!! The release is fabulous. How did you become a DT? I love that floral stamp and look forward to seeing what you make. Looking forward to seeing your project. I'm loving this new release and all the inspiration of the blog hop! Thank you for the chance to win!! This has been an amazing hop full of inspiration! The new products are amazing. Thanks for the giveaway! Really excited about this awesome release! 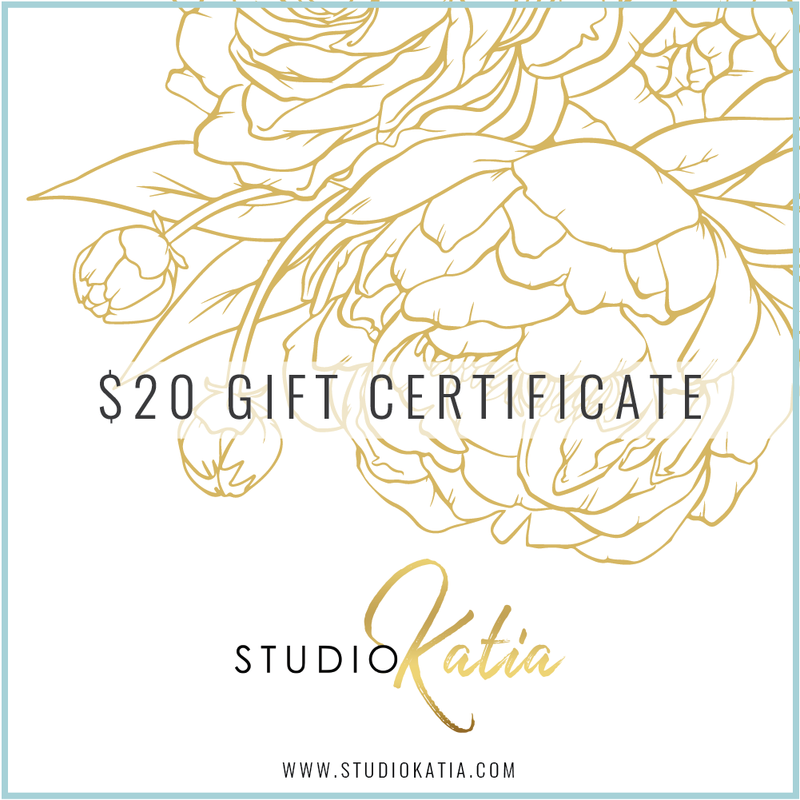 Happy 2nd anniversary to Studio Katia! Love all the projects I have seen, and I'll be sure to check back to see if you've had any success in getting it posted! This release absolutely inspires me! Can’t wait to get all of the items in the release. Pity that you're having technical difficulties, I was looking forward to your creation! But I'm sure it will still show up! Congrats on being the DT coordinator - it surely must be a lot of work, but I'm so glad you're enjoying it! This new release is simply amazing! Under the sea is my fav set! Can't wait to see what you've created with these fabulous products!!! Can't wait to see the creations you have made!! The release is awesome! Ugh, I hate when that happens on my blog too. I hope you get it figured out. This is such a fun release and I can't wait to see what you come up with! A shame about technical problems! This has been a great blog hop with so much fantastic inspiration! Looks like a really great new release, love the stencils. This is a fantastic release. 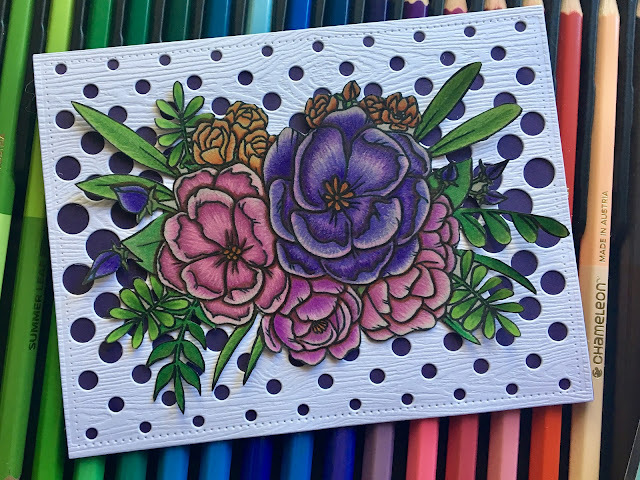 Love the Lovely Blooms stamp and the Brush Stroke Waves Stencil. Sorry you are having difficulties, but I am excited to check back in and see your design. Looking forward to seeing your inspiration. Liliya, don't you just love technology sometimes! Sorry for the snafu! Can't wait to see your card. I remember your work is always amazing so I am looking forward to it. Hi Liliya, thank you for sharing the new release. They have great sets to buy. I look forward to seeing what your create. Looking fwd to checking in to see your creations! Darn technical issues, hope you get it resolved! Love this release! Sorry you are having technical difficulties. This is a wonderful release and I can't wait to see what you created with it. Congratulations on the DT Coordinator position, or at least the formal announcement. Looking forward to seeing your creation with these fabulous new products. That’s a wonderful release and I’m waiting you’ll be able to post your creations. Sorry you're having technical issues. I'll stop back to see if your project gets posted. Congratulations to you on joining such a great crafty family as a DT member! Very exciting and I bet rewarding. I hope your technology challenges do not block your creative flow. Looking forward to seeing it! lovely release! hope to see your project soon! These products look so great! I just found your company today and really love the projects I've seen. I love the stencils and the Sea stamps are adorable. Heartiest congratulation for this milestone...wishing you many more such milestones!! Congrats on the coordinator position. Can't wait to see your project. This has been a fantastic hop - so many creative team members! Can't wait to see your project when you can get it uploaded! So many great products in this release. Hope you solve your issues soon and share your creations. So pretty! Loving the stencils!